With the aim of building up a much-needed reference collection for the determination of ancient production methods for cast bronze artefacts, a series of experiments were carried out at the University of Sheffield. 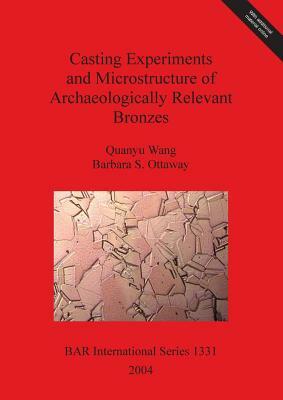 This volume publishes the methodology and results of these experiments where bronze flat axes were cast using three types of moulds - sand, clay and bronze - under controlled conditions and were cooled using different techniques. The microstructure, malleability and behaviour of the copper alloy elements during melting and casting were then compared. A study with important implications for ancient production methods of cast bronze artefacts. Author Name: Ottaway, Barbara S.